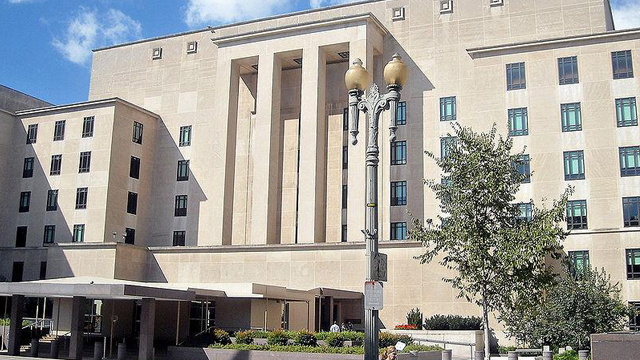 The U.S. State Department has reiterated its position that inter-Korean relations must advance together with North Korea's denuclearization. A State Department spokesperson made the remarks on Monday with regards to the two Koreas' preparations to install a joint liaison office at the inter-Korean Gaeseong Industrial Complex in North Korea. The spokesperson said that the U.S. is aware of the two Koreas’ plan to open a joint liaison office, but did not comment on whether the project would be in violation of sanctions. 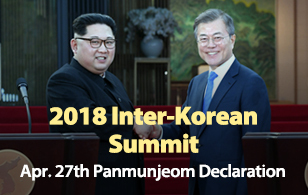 The official, however, underscored the need to keep inter-Korean relations and denuclearization moving on parallel tracks, noting that as South Korean President Moon Jae-in stated, the improvement of inter-Korean relations cannot advance separately from resolving North Korea's nuclear program. The statement follows comments by Seoul's presidential office earlier in the day that opening the liaison office would not violate international sanctions on North Korea. Presidential Spokesman Kim Eui-kyeom said in a news briefing that the purpose of the office is to ease military tensions and to establish peace on the Korean Peninsula. He said maintaining inter-Korean communication at all times would contribute to promoting denuclearization negotiations between Washington and Pyongyang.